Each Board meeting opens with a Character Moment of Reflection. At Hastings and Prince Edward District School Board, Growing with Character  is our intentional focus on creating safe, caring, respectful and inclusive learning environments where students develop the foundation for good character. Growing with Character is the foundation of the school board strategic plan. Through Growing with Character, we model, teach and expect demonstrations of our eight character traits which are: caring, cooperation, honesty, humour, integrity, respect, responsibility and trustworthiness. 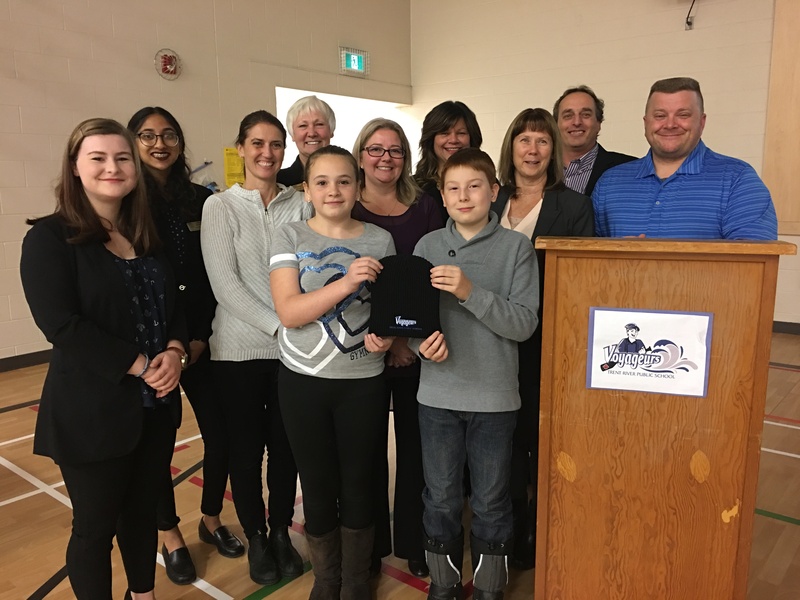 Superintendent of Education Colleen DeMille spoke about Trent River Public School  which opened in the spring of 2017. The school has visual demonstrations of student learning and well-being. Staff recognize the importance of students becoming globally minded learners and leaders. DeMille introduced Principal Bill Launderville, Teacher Kathryn Acorn, and Students Levi and Kendra. They described student learning to deconstruct the meaning of the 10 competencies that make up the Globally Minded Learners and Leaders . A number of district and school events (Pdf)  are scheduled for December 2017.